I bought a 93 z28 not that long ago and I think I need a new opti. The car will hesitate occasionally and happens all the time at higher speeds. The car also vibrates at idle and virbrates stronger during acceleration. I just wanted to get a second opinion before I drop the money on a new opti, wires, plugs and water pump. Have you scanned it for codes? 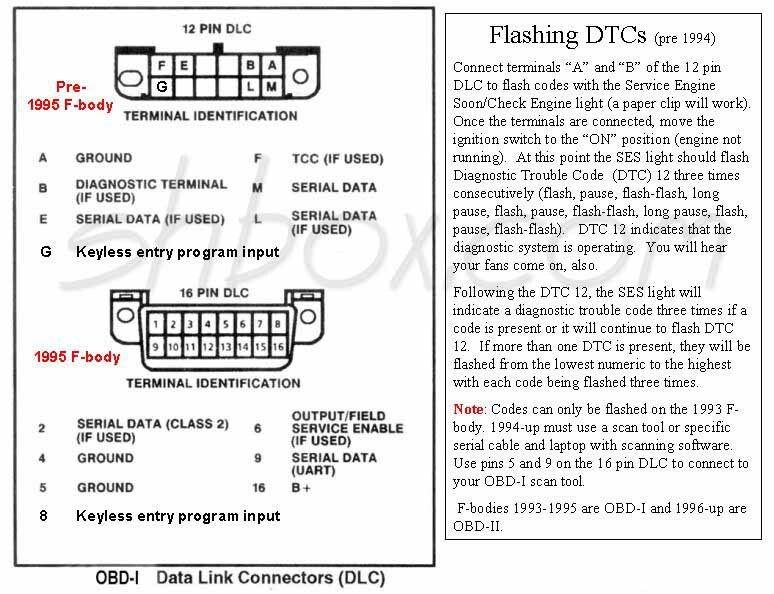 There are trouble codes that set for problems with the optical cam position sensor in the Opti (DTC 16 and 36). Easy to scan a 93 with a paper clip. Have you checked the fuel pressure, with the engine under full load, at 5,000+ RPM. Have you inspected the spark plug wires, and the areas around the coil and the Opti for arcing? Are the plug end connectors snapped on tight? Are there any signs of corrosion buildup on the wire terminals on the Opti cap? Is the water pump weep hole dripping on the Opti? Have you inspected the spark plugs for excessive gap/eroded electrodes, heavy carbon buildup, and cracked insulators? Have you had the ICM tested by a shop, making sure they get it good and hot while testing? How old are the O2 sensors? How many miles on the engine? Has the engine been modified in any way, e.g. - headers, cam, etc.? Last edited by Injuneer; 03-21-2019 at 08:16 PM. I had one of my friends who’s a mechanic listen to it and he said it was something with the starter shims. DynaSpark Opti, is this a good Opti? non vented opti to vented opti, whats required? swap from unvented opti to vented opti? ?